Pakistani authorities have released a photo of the suspected suicide bomber who attacked Benazir Bhutto’s motorcade in Karachi earlier this week. WARNING: Graphic photo in video. “My life has no significance compared to the solidarity and survival of Pakistan” — Benazir Bhutto..
At a time when Pakistan should be unified against terror and the Islamist extremists who have declared war on the country the leaders instead are busy pointing fingers at each other for political gain. 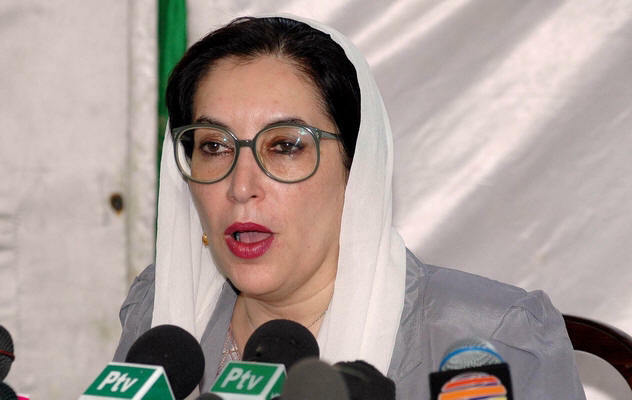 Immediately following the bombing, Benazir’s husband, Zardari, accused the ISI and other government agencies of complicity over old rivalries, and Benazir continued that theme in her press conference. Sherpao challenged her to name names, and she has given three to the government, and she is now pointing at General Zia adherents, a group her family has a long running feud with. This brings back the death of several of her relatives at the hands of assassins, including her father and her brother Murtaza. The youths who are rioting in Amsterdam have done so the past four nights, usually burning one or two cars per night near the police station where one of their “gang” members was killed. Bilal Bajaka was shot to death by a female police officer after he ran into the police station and attacked with a knife. The officer is still in serious condition as she was stabbed in the chest severing a pulmonary artery, and twice in the back. The police say that it’s a “gang” of 35 criminal “youths” ages 12-18; what they don’t tell you is that they are Morrocan immigrants, and they have ties and relations to the Islamist terror organization the “Hofstad Group“. This group includes the murderer of Dutch film director Theo Van Gogh, who was murdered for making the movie Submission. It is noteworthy that Bilal attacked the police station two years to the day after the first arrests of members of the Hofstad group. How must it feel to be a citizen in Amsterdam where you can’t own a gun and Islamist gangs are roaming the streets every night unopposed? You think I exagerate? Please visit the original report at Klein Verzet, scroll down to updates 12 -15 of the running story.